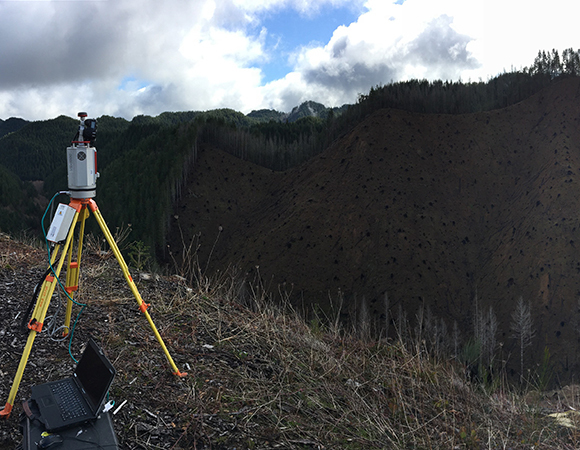 Terrestrial laser scanning (TLS) was used in project support of researchers from the University of Oregon refining sediment transport models in steep terrain. TLS yielded measurement densities of greater than one point per centimeter, enabling researchers to image tree throws, or the cavities left behind by a tree's roots when the tree is upended. Aerial LiDAR previously collected in the region yielded a point density of only 8 points per meter, too low a resolution for the researchers to extract these small-scale terrain changes and thus study their effects on sediment transport. The lack of accurate sediment transport models in steeplands has hampered progress on a wide range of topics in geomorphology, land management and hazard mitigation. Sediment transport on hillslopes is currently most often viewed and modeled using a single, very simplified local hillslope characteristic, such as slope. 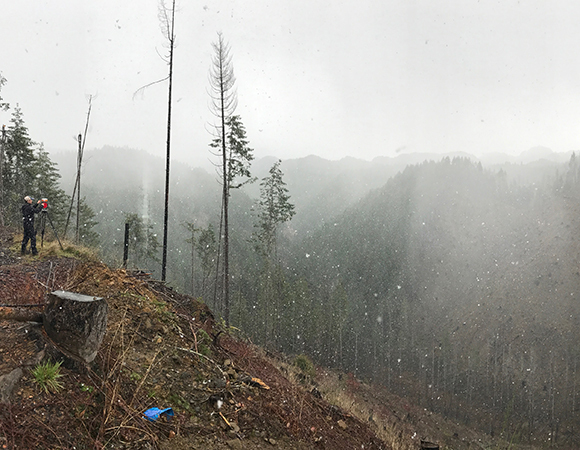 This project aims to account for nonlocal sediment transport along these slopes, as the nonlocal approach accounts for sediment transport across further distances. These nonlocal processes can be from tree throws, burrowing animals, and fire-induced ravel. Two distinct study areas were scanned for this project, the first a well-established forest, and the second a recently burned area. 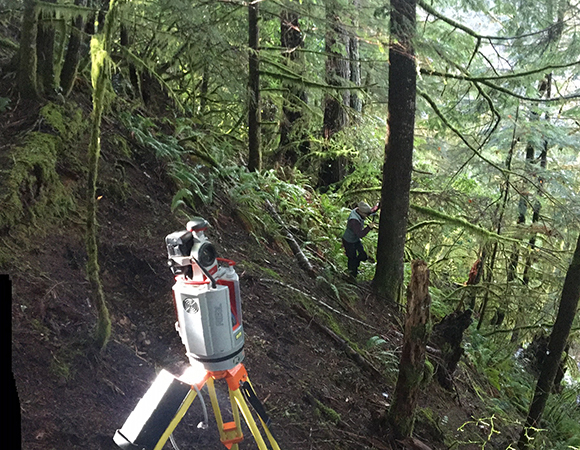 TLS allowed the resolution needed to address the research questions, but required careful site selection, as well as some clearing of vegetation to allow the laser to resolve to the ground surface. 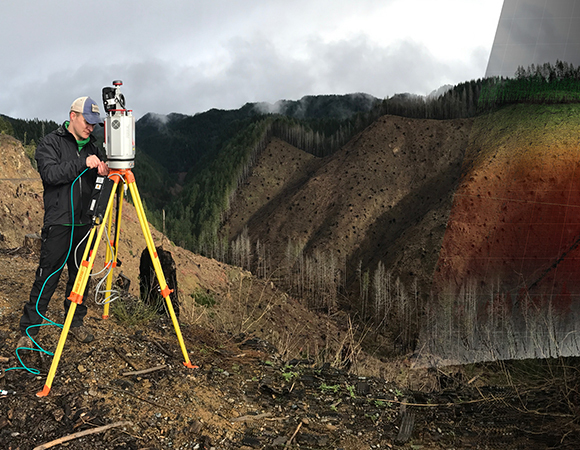 Due to the nature of the burned site, two individual slope faces were collected simultaneously in the scans while the heavily vegetated area required two separate sites to collect differing slopes.